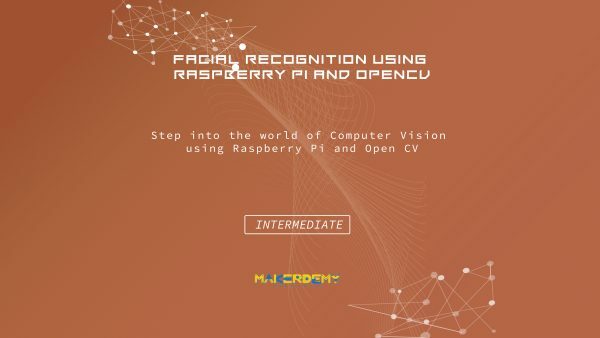 Step into the world of Computer Vision using Raspberry Pi and OpenCV. This course is for anyone who is interested in exploring Digital Image Processing using Raspberry Pi and OpenCV. The course requires basic knowledge of Python programming and Linux commands and obviously your interest in programming. In this course, we are going to use OpenCV libraries to explore facial recognition feature. OpenCV is an open source C++ library for image processing and computer vision, originally developed by Intel and now supported by Willow Garage. It is free for both commercial and non-commercial use. Therefore it is not mandatory for your OpenCV applications to be open or free. It is a library of many inbuilt functions mainly aimed at real-time image processing. I am going to teach you how to track faces in the image you have captured using Webcam or any other device. We will also locate and count the faces present in the image. In the next project, I will teach you how to program in Python and OpenCV to detect and highlight the eyes of the persons along with the face present in the picture. Going forward, I will also cover the machine learning based project in which I will create Image puzzle using python programming and OpenCV. This will be a picture-based puzzle where you can search a small section of the image inside a bigger image.